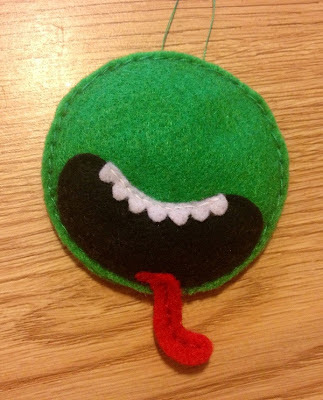 Book Adventures: Booky Ornament Exchange! Yesterday I received an awesome little package in the mail from Tobe Francis @ Wading Through the Ocean of Life--it contained two book page wrapped star ornaments made by Papyrusaurus! Tobe and I were paired up in the Ornament Exchange hosted by Penelope @ The Reading Fever. EDIT: She received it and posted about it (along with a picture)! Take a look at the ornament I made for Tobe below (this is a picture of it before it left my house. Douglas Adams, anyone?). That is so awesome! I love that it was made out of book pages. :) Thanks for participating! I'm so glad you loved the ornaments. 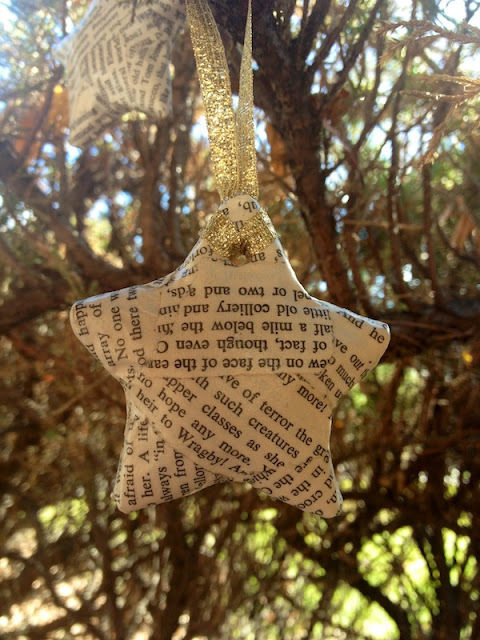 I scoured Etsy for beautiful and creative bookish ornaments. And thanks to Papyrusaurus, I found some cool ones for you.